What is a girl to do when she cannot move to ritzy La Jolla and does not have any friends? Join a book club, of course! And when she needs money to send her son to therapy, what can she do? Team up with her brilliant lawyer friend and sell the rich, vain women of La Jolla something they cannot live without. 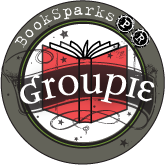 In Crimes Against a Book Club, Kathy Cooperman introduces us to Annie. The new transplant to California wants to fit in, but her job as a chemist does not exactly qualify her to be at the center of the social scene. Enter her best friend, Sarah. With her beautiful face and brilliant way with people, Sarah has a way of schmoozing with anyone. When Sarah decides to try another round of IVF and Annie needs to send her son to therapy, the two friends concoct a scheme to sell high priced face cream to the La Jolla women in their book club. But in order for them to make the kind of money that they need, this cream cannot just be a mixture of ordinary products. It has to ensure repeat customers. With the addition of one little illegal ingredient, will Sarah and Annie be able to get the money they need or will they be put into legal jeopardy? 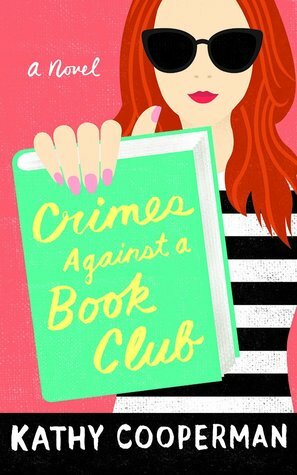 Crimes Against a Book Club is a lighthearted look at the social scene in wealthy enclaves. The book club women follow the stock character model for the most part (trophy wife, plastic surgery addict, etc. ), and their problems do not seem to reach beyond the occasional affair or money woes. I needed to write the character’s names down to keep them straight, but I must admit that some of them were quite humorous. I particularly enjoyed the references to books that the characters had read that came in little snippets at the beginnings of the chapters. The problems of the main characters were treated lightly, but not dismissively. Seeing what Annie and Sarah went through to help their families was touching, and it reminded me that often, women do things out of the box in order to help their families. My biggest complaint about Crimes Against a Book Club was the way that it ended. The ending was rushed and did not seem very realistic. I wish that it had been given more time to develop and that the solution was more in keeping with the rest of the story. Light, funny, and fun, Crimes Against a Book Club was enjoyable reading, and I look forward to more from Kathy Cooperman.